I stop by the amazing German Etsy shop, Raxfox, once a month or so to see what's new and whimsical. 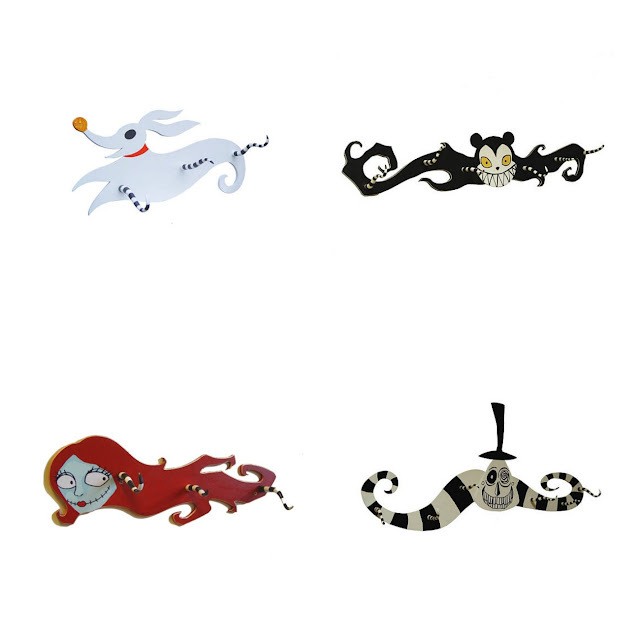 I'm delighted to show you these Nightmare Before Christmas coat racks! You can hang your coats up on The Mayor of Halloweentown, on Zero the ghost dog, on Sally, and on the fabulous vampire. Makes me want to watch the movie all over again!